Whether you consider yourself "Chronically Disorganized" a "Clutter Bug" in need of some "Clutter Control" or a "Hoarder" Behind the Hoard Consulting is here to help. It doesn't matter if you are in a 1 bedroom apartment or living on a working ranch Behind the Hoard Consulting is here to support and guide you through the process. Often times we hear people say "I don't know how it got this bad" and "I don't know where to start". It can at times feel like an overwhelming task, Nadine and her team understand this and know that every person and situation is unique. We will help you gain insight into how this problem occurred and help you come up with a plan to restore your home and life to the way you want it to be. 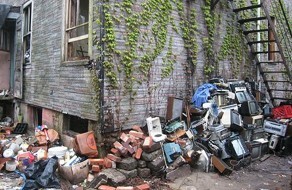 Between 1 and 2% of the General Population has Hoarding problems. That means there are over 2000 people in Calgary alone not including the surrounding area. Animal Hoarding has been found to occur at approx. 88/100,000 of the general population. Distress or impairment in functioning is caused to the person hoarding or others. Activities of daily living are impaired by spaces, which cannot be used for their intended use. 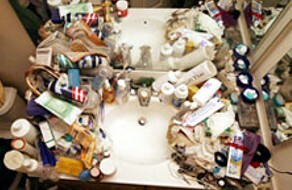 The excessive accumulation and failure to discard (proportionately) things or animals. Behind the Hoard provides professional hoarding clenaup and support services in your local region of Western Canada.